Welcome to Missio's online application system! If you have questions regarding the application process, or which application you need to fill out, please contact our helpful admissions department. If you need financial aid assistance, please contact our financial aid office. Our application system contains all the items needed to apply for any Degree or Non-Degree Program, Certificate in Advanced Professional Counseling (CAPC), Global Trauma Recovery Institute (GTRI), and the Doctor of Ministry (DMin) Program. Our admissions staff is here to help. You can also call 215-368-5000 during business hours. Who Should Complete a Non-Degree Application? Who Should Complete a Degree Application? We recommend filling out our online application. You can choose to download the PDF of the application of your program below. You can then print it out and fill it out and send it in. You will also find the additional forms you will need below. Now you can pay your application fee online via PayPal with your account or any major credit card. Simply click on the link below that correlates with the program you are applying for. The admissions office accepts applications on a “rolling” basis. This means that you can apply at any time during the year and enter a degree program at the beginning of any of our terms. The MA in Counseling program is an exception and is set up as Cohort program and typically only enrolls in the fall. Do you require any specialized testing for the application process? We do not require any specialized testing such as the GRE (Graduate Record Exam) for our admissions process. We believe that our application requirements give us the necessary information about our applicants to make a sound decision about their admission to Missio. What is your response time to a completed application? Once an application is completed the applicant will receive an email from admissions indicating that their application has been submitted. The applicant should expect to hear from someone in admissions in less than seven business days regarding their application. What is your policy regarding transferring students? Transfer credit may be granted to qualified students for courses completed at other accredited graduate institutions. When requesting transfer credit, you must provide official transcripts of prior work. You may be asked to provide course descriptions from a catalog or syllabus. Grades must be C (2.0) or higher to be considered. Transfer credit is evaluated by the director of academic services and is credited after the successful completion of 9 credit hours at the seminary. Missio does not offer graduate credit for personal ministry experiences, including, but not limited to, missions trips sponsored by churches or other organizations. Students may not transfer more than one-half of the credits needed to complete a program at Missio. MA students must take at least one-half of the courses in their field of concentration at Missio, while MDiv students will normally be required to take at least one-half of the required courses in each of the major divisions (Old Testament, New Testament, theology, and practical theology) at Missio. Normally, transfer credits are accepted only for courses completed before matriculation to Missio Seminary. Accepting transfer credits is at the discretion of the academic office, based on the above criteria and the correspondence of classes to the seminary’s curriculum.  Missio Seminary admits students of any race, color, national origin, and ethnic origin to all rights, privileges, programs, and activities accorded or made available to students. We do not discriminate on the basis of race, color, national origin, or ethnic origin in the administration of our educational policies, scholarships, loan programs, and other school-administered programs.